Bell Tent camping sites in Cumbria are amongst the prettiest locations in the UK. Allowing you all the freedom of camping with non of the fuss. 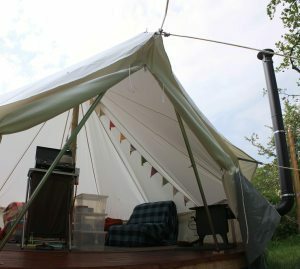 They offer the best of both worlds, a kind of back to nature Glamping! 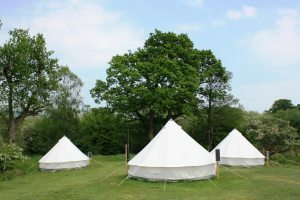 Situated right in the heart of the Lake District National Park in two stunning locations Long Valley Bell Tents offer a truly unique holiday experience. Located at Low Wray on the shores of England's largest natural lake on the quiet western shore of Lake Windermere with the other site nestled in the heart of the beautiful Borrowdale Valley you couldn't ask for more idyllic locations. Visit the Long Valley website for a full list of on-site facilities. 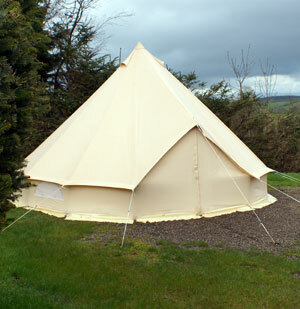 These pre-erected tents on this Award winning Site, give you the best of both worlds. They are pre-erected so that your holiday starts the second you arrive, but are totally empty (apart from a plug socket, ideal for charging items or for a mains light) allowing you to be as lavish or simplistic in your camping tastes as you like. 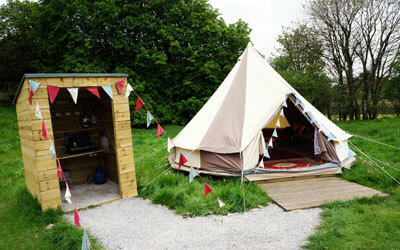 The Bell Tents are waterproof and have plenty of head room and can sleep 2 adults and up to 4 children. Please note no dogs are permitted.